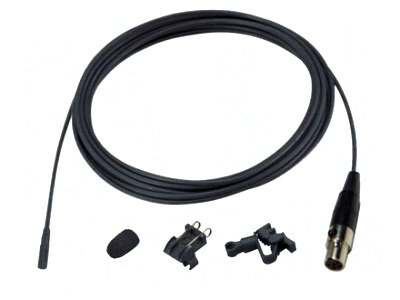 The ECM-88 Is A Miniature Omni-Directional Electret-Condenser Microphone Ideally Suited For Quality-Critical Applications In Broadcasting, Theater And Field Production. 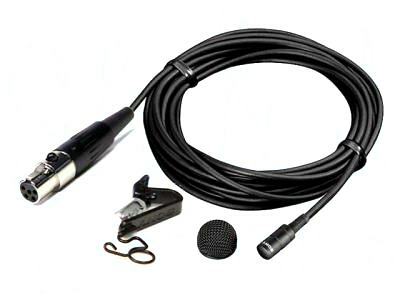 This Lavalier Mic Achieves High-Sensitivity And Has A Flat-And-Wide Frequency Response. 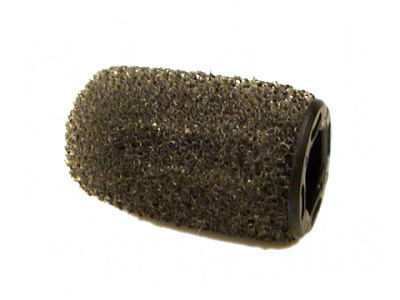 The ECM-88 Offers Extremely Low Handling Noise With Unparalleled High Sound Quality. 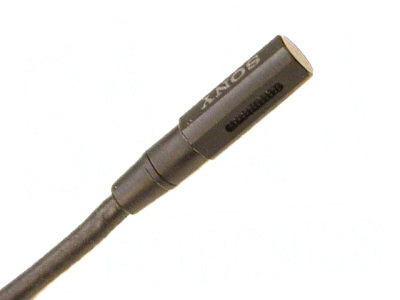 The ECM-88 Has A Sony 4-Pin Connector (Smc9-4p) To Connect With Wrt-8b Or Wrt-822b Wireless Transmitters. 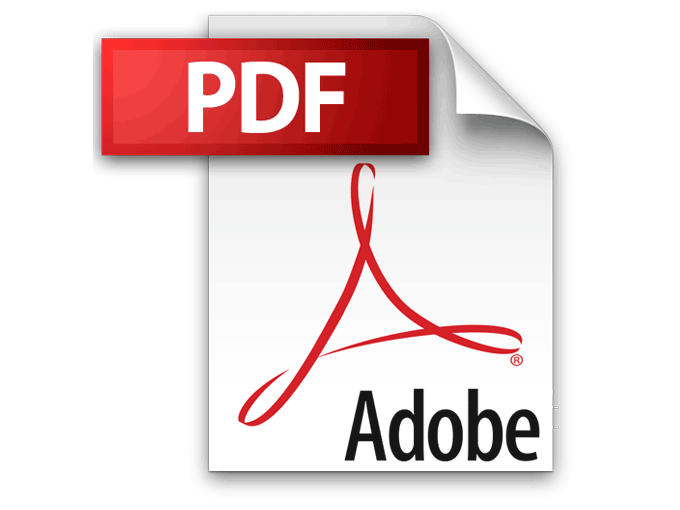 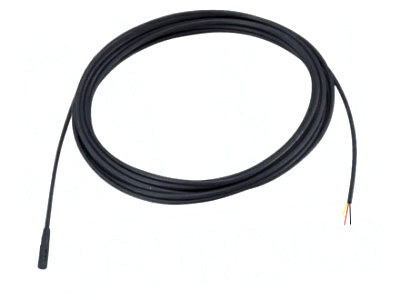 A Pigtail Version (ECM-88pt) Is Also Available, As Well As A DC Power Supply Unit (Dc-78) Containing A XLR 3-Pin Output Connector. 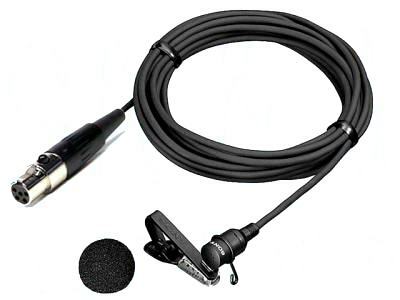 Moving Around While Wearing A Lavalier Mic Can Often Cause Lav Mic Cables To Rub Against A Users Clothing. 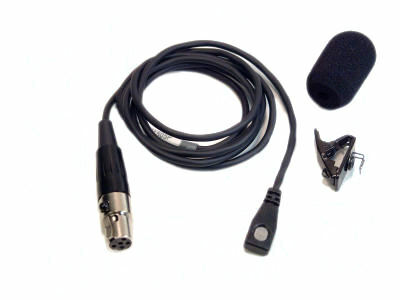 In Many Existing Lavalier Mic Designs, This (Frequently Unavoidable) Body Movement Can Cause Loud Undesirable Handling Noise. 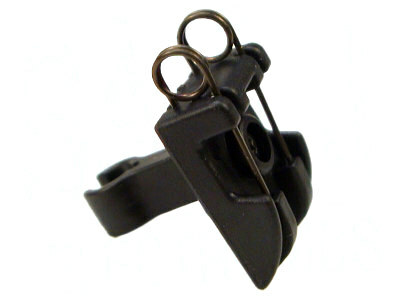 The ECM-88 Radically Reduces This Handling Noise Making It Ideal For Use In Applications Where Users Are Moving. 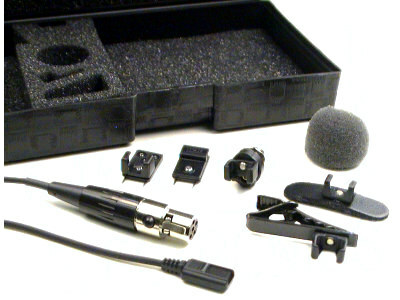 Many Lavalier Microphones Are Specifically Optimized For Speech Reproduction And Have Limited Use In Other Applications. 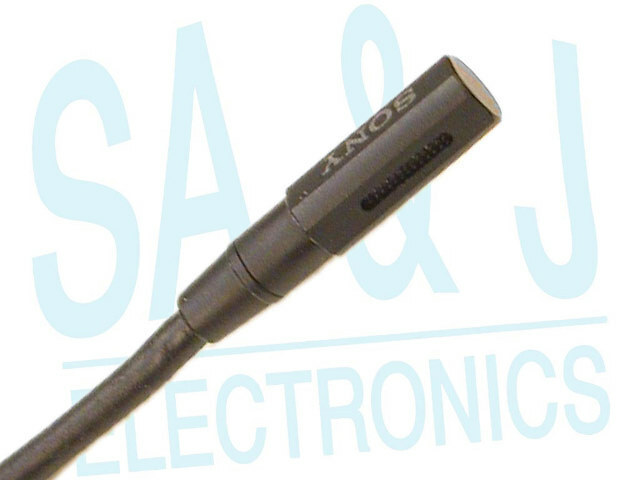 The ECM-88 Extends It's Frequency Response Beyond The Range Of Speech Reproduction, And Can Be Used For Many High Quality Sound Applications Requiring A Miniature Mic That Can Easily Be Concealed. 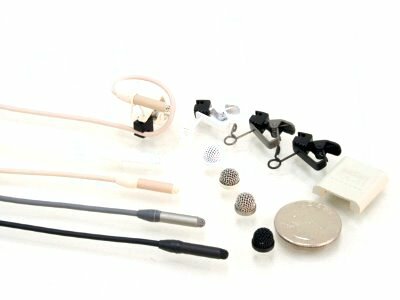 • Inherent Noise: 26 Db Spl Or Less (A-Weighted, 1khz, 1 Pa.), 0db Spl = 20u Pa.
• Wind Noise: 45 Db Spl Or Less (When Using The Supplied Windscreen), 0db Spl = 20u Pa.
• Induction Noise From External Magnetic Field: 5 Db Spl Or Less (When Used In Conjunction With The DC-78), 0db Spl = 20u Pa.
• Maximum Input Sound Pressure Level: 125 Db Spl, Odb Spl = 20u Pa.